Space exploration allows for an interdisciplinary moment between science and social studies. Use these five PBS LearningMedia videos to add richness and depth to your lessons. PBS LearningMedia has thousands more classroom-ready media to enhance classroom learning. Learn how Edwin Hubble made some of the most important discoveries in modern astronomy in this video from NOVA: Invisible Universe Revealed. In 1923, Hubble observed a Cepheid in what was called the Andromeda “nebula.” When he calculated the distance to it, he discovered that the “nebula” was actually a galaxy outside of the Milky Way. At the time, the Milky Way was considered the entire universe, and so the discovery dramatically changed our view of the universe. Hubble went on to measure the relative speed of galaxies, using redshift, and found that the universe was expanding. His observations formed the basis of the Big Bang theory. Use this NASA video to show a behind-the-scenes view of how NASA engineers designed Curiosity to be sturdy but light and to be highly maneuverable and stable. Curiosity is NASA’s Mars rover that will, over a 23-month mission, collect and analyze Martian soil and rock samples. In this video from NASA’s Teaching From Space initiative, two astronauts aboard the International Space Station (ISS) describe mass and weight and the differences between the two. Embedded animations and demonstrations support the video’s learning goals and are highly entertaining. 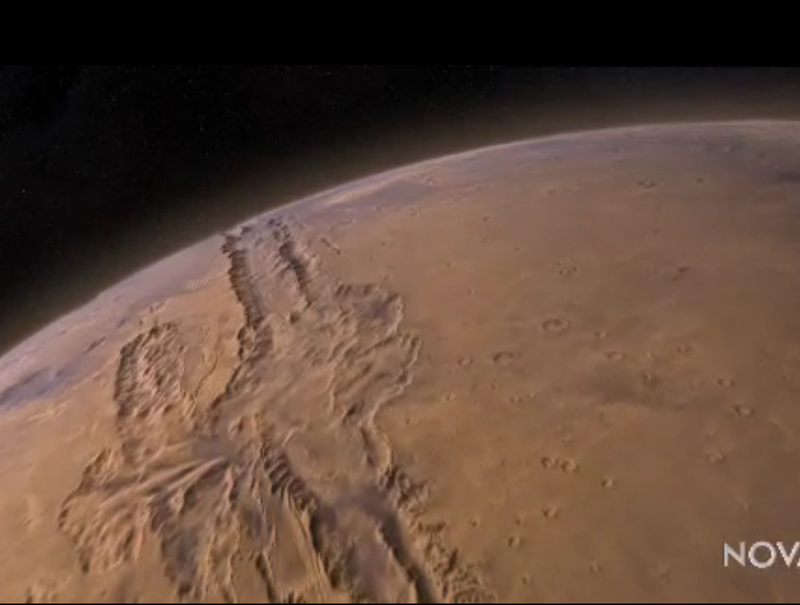 With this video and additional support material, invite your class to ponder the mysteries of water on Mars. Assess the clues and learn the facts behind the discovery of ice on the red planet. Delve into the question: Could evidence of life exist in buried ice? Curious George is the only one who can restock the International Space Station with supplies, which means he’s going up to space in a rocket! After students watch the video, they build and launch their own air-powered rockets, which they test and retest to determine the best design.